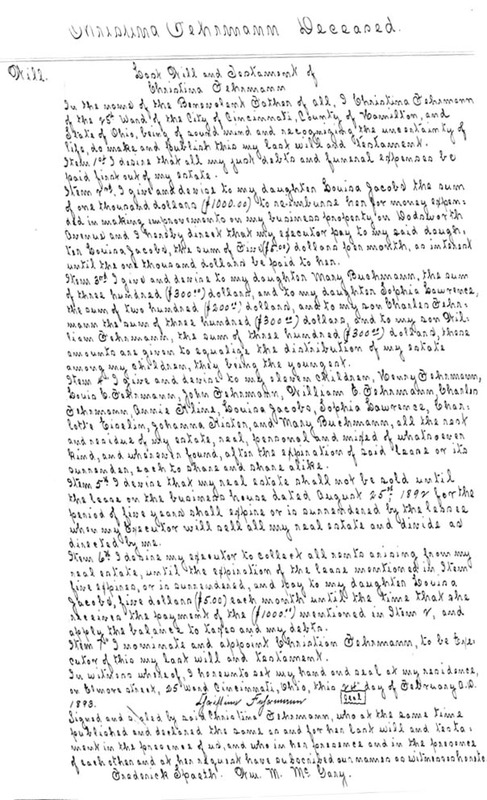 Christina's will was entered into Hamilton County Probate Court on 5 September 1894. Besides naming all of her children, she mentions her business property, which I haven't investigated yet, though it's probably the grocery store they operated in Cumminsville. The adminstrator was Christian Fehrmann, Louis' first cousin, and Henry Fehrmann and William M. Buckmann (sic) put up bonds.